What are the best GPS systems for your RV in 2019? If you don’t have the time to look up information online about the best RV GPS systems, this short paragraph will be your best bet for finding the navigation system you need. By reading through the user feedback, expert reviews and reliability tests available, we discovered that the Garmin 760LMT with Wireless Backup Camera is the best you can get for the money right now. You will be able to customize the GPS so that the specs of your vehicle are taken into account. Especially designed for recreational vehicles, this GPS will make sure that you will never end up on a narrow road where your vehicle can get stuck. You will love how easy it is to navigate through the menu, and touch screen controls are sensitive to contribute to ease of navigation. Also, it is important to know that you will not have to take your eyes off the road, as a friendly voice will let you know of the upcoming turns and lane changes. 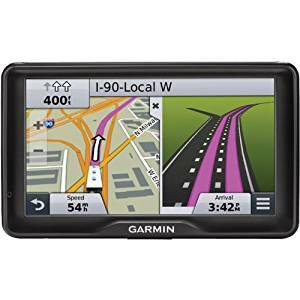 If the Garmin 760LMT with Wireless Backup Camera is temporarily unavailable, you can safely go for the Garmin 760LMT as it came in a close second in our search for the best RV GPS systems. Trying to find the best RV GPS systems in 2019 can be confusing, especially if you don’t know what you need. In this buying guide we have included informative tips and brief reviews that will help you choose the best RV GPS so you can relax and enjoy your next road trip. 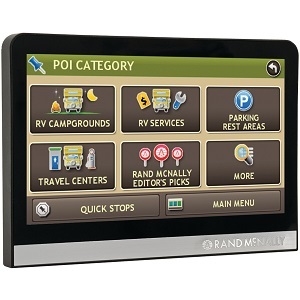 The best RV GPS systems feature a large 7 inch viewing screen that can be easily read in any lighting. While you do want the display to be large enough to clearly see, you also want the device to have a compact and easily portable size. Touch screens with menus that are easy to navigate are always appreciated, along with preloaded maps for quick route planning. Voice activated commands help to ensure you don’t miss a turn, and Bluetooth compatibility lets you safely make and receive calls without taking your hands off of the steering wheel. Some additional features to consider include free traffic and map updates, along with a preloaded list of RV friendly places. Customizable GPS systems ensure that your RV will get to the destination safely and being able to mark your own points of interest can improve your next trip. While we can’t choose the right navigational system for you, we can show you some consumer favorites. With the ability to customize this Garmin RV model to the height, length, width and weight of your RV, you never have to worry about getting stuck on narrow roads. It is designed specifically for larger recreational vehicles, and includes everything you need to plan your next road trip. It even includes a rear camera that makes backing in and out of parking spaces a breeze. The 7 inch color display can be clearly read in most lighting, and the touch screen lets you easily browse through the menu. The split screen makes it easy to see your intended route, and you will appreciate the friendly voice that will alert you to upcoming turns and lane changes. This GPS system includes a lifetime of free map updates that also include the latest business listings, along with any road changes or additions. There is very little not to like about this GPS for RVs, including its ability to be customized to your vehicle. You can easily enter in your information and find the best route to take with your RV. This GPS system also includes a preloaded listing of RV friendly places, and with a lifetime of free traffic and map updates you will always know exactly where to go. Along with continuous updates this GPS will also relay any road adversaries and cautions. Be aware of high winds and sharp curves ahead of time so you can be prepared. It will also alert you when you cross state lines. The 7 inch viewing screen is designed to be easy to see, even in your large RV. The white backlighting helps to prevent glare so you can clearly see your intended route. It also features audible navigation, and it will even respond to your verbal commands. Find nearby restaurants and service stations, along with RV friendly campgrounds. As an added bonus, this Gamin RV GPS is also Bluetooth compatible. 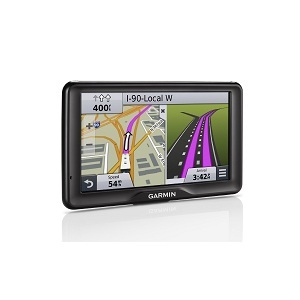 Designed for use in automobiles and RVs, this GPS system is the perfect choice to help you plan your next road trip. 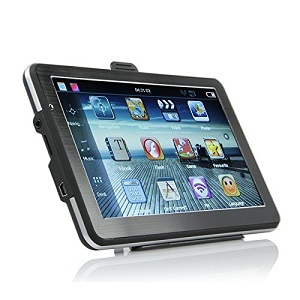 It is designed to be easy and convenient to use, which includes its 7 inch touch screen display. Easily navigate through the simple menu, and enjoy the convenience of having your intended route clearly displayed. The bright arrows will indicate upcoming lane changes and turns, along with any RV friendly places and points of interest along the way. Along with helping you plan your route, this GPS system will also calculate mileage and track vehicle maintenance. There is a convenient tab that will let you create a checklist so nothing is forgotten on your trip, and as an added bonus you can also use the GPS to help you return to your campsite. There are over 14 million points of interest preloaded into the GPS system so you never have any problems planning a fun weekend or an extended vacation. You can customize the navigational system to the vehicle’s specifications to easily avoid narrow roads and low overpasses, and simply relax knowing that you have the best route planned.